Samsung Galaxy Note 4 will hit the Indian market on October 10. Though there is no word about the price of the phablet, it is expected to cost more than Rs 50,000. 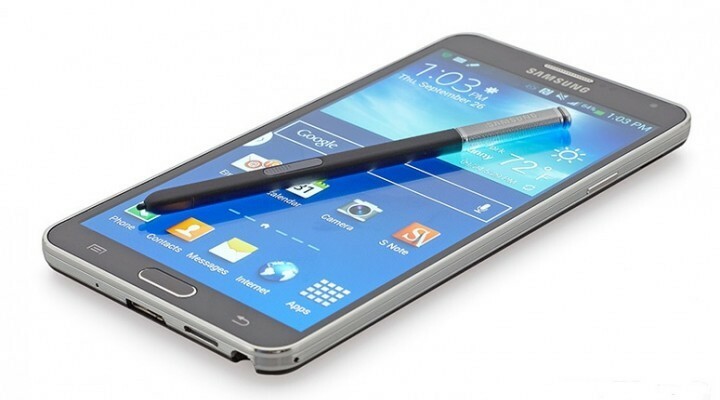 Its predecessor, Samsung Galaxy Note 3, was launched last year at Rs 49,990. Samsung Galaxy Note 4 will be available in the UK from Friday 17th October. This is the same date that the phone will be released in the US. High demand for the handset has meant a small delay in its UK release, with the handset already on sale in the company’s native country of Korea. At the moment, the phone is available for pre-order from all of the major UK networks, so you should still have time to get in if you want a handset around its official release date. The Galaxy Note brand first emerged in 2011 with the announcement of the original Galaxy Note. The massive handset, being something of an oddity back then, was met with a fair bit of derision. However, it was also met with plenty of enthusiasm by consumers, rapidly establishing the validity of the phablet concept. Samsung has since followed on with several new iterations and each has sold very well indeed. Other manufacturers have attempted their own take on the phablet idea, but it’s fair to say Samsung still leads the way with arguably the most successful phablet launches overall. “Samsung needs the Galaxy Note 4 to be a hit. It has to make up some of the ground it lost as a result of the relatively poor reception to the all-plastic Galaxy S5 when it was launched in February. Samsung will be hoping the new metal based “Alpha” design language delivers a premium package in the eyes of consumers and does enough to be competitive against Apple’s much anticipated iPhone 6,” said Hugo Deacon of CSS Insights. Samsung has two different models for the Galaxy Note 4. The first comes with Samsung’s very own Exynos 5433 octa-core CPU that includes four cores running at 1.9GHz and another four at 1.3GHz. The second version comes with a Qualcomm Snapdragon 805 quad-core chip clocked at 2.7GHz. The phone runs Android 4.4 KitKat with Samsung’s TouchWiz UI over the top. Both versions of the Note 4 come with 3GB of RAM and 32GB of on-board storage as standard. There’s also microSD card support. But both the Samsung Galaxy Note 4 and the Galaxy S5 could get the Android L upgrade by late November or early December, according to reports. I am Sherly, living in the city of Alappuzha, which known as the 'Venice of the East'.